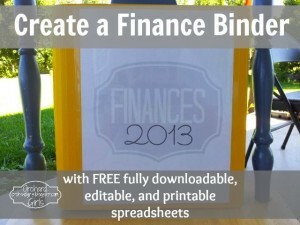 One of the first steps to getting on the road to financial success is getting those finances organized! Check out this Finance Binder that includes free downloads of printables over on Orchard Girls! Thank you so much for featuring my Finance Binder. I use those spreadsheets religiously, and have really helped us stay on track.